Energy efficient. They use 70 percent less energy than conventional incandescent strings of lights. Long-lasting. They can last up to 10 times longer than incandescent lamps, and lights do not individually burn out. They stay cool to the touch, reducing the risk of fire. The bulbs are made of epoxy, not glass, so they are much more durable than other lights. LED holiday lights come in a wide variety of colors, shapes and lengths and are available at many home improvement, drug and grocery stores. The brightness and color of LED lights have also come a long way in the last few years and are now visually appealing. For white lights, you can choose between cool white, which is a bright icy-blue white, or warm white, which has a yellow tint and is the closest to a white incandescent. 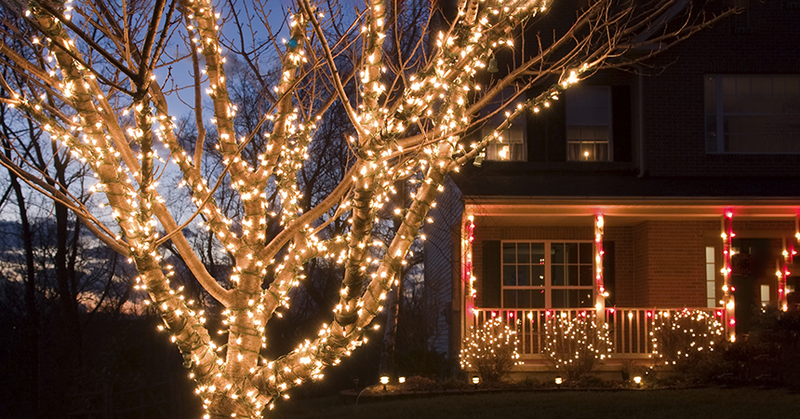 The American Council for an Energy-Efficient Economy recently calculated the cost savings of LEDs: “Using one LED lamp over the holidays will cost you an estimated $0.45, compared to $5 for mini incandescent string lights and $75 for large incandescent string lights.” Transitioning to LEDs both inside and outside the home can make a real impact on your monthly savings. Look for ENERGY STAR® certified light strings to ensure top quality and performance, and use a timer to turn lights off after 10 p.m. for even more energy savings.